"A seed of vibrant disciples of Christ"
An interview with Archbishop Jourdan, apostolic administrator for Estonia, about the Pope's 22-25 September trip to the Baltic states. Published in "Our Sunday Visitor." Cathedral of Sts. Peter and Paul, Tallinn, Estonia. By Deborah Castellano Lubov in Our Sunday Visitor. It seems counterintuitive that Pope Francis would visit a country where at least three out of every four inhabitants are atheists and less than 1 in 100 are Catholics, as is the case in Estonia. 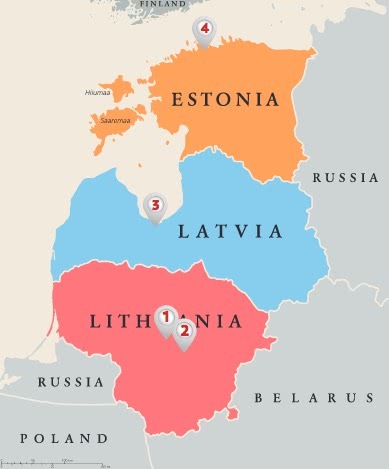 But from Sept. 22-25, the pope is visiting the three so-called Baltic republics: Lithuania, Latvia and Estonia, which in the last century were part of the Soviet Union. The arrival in Estonia — which has fewer than 7,000 Catholics — is scheduled for the morning of Sept. 25, returning to Rome the same day. The last trip of a pope to Estonia dates back to 1993, with Pope St. John Paul II, when Estonia had just gained independence. Our Sunday Visitor: The Catholic Church in Estonia is a small community of only about 7,000. What is the meaning of a visit to such a small flock? Archbishop Philippe Jean-Charles Jourdan: Pope Francis has said that he likes to visit small countries, which have greatly suffered. Estonia is such a country, and its great sufferings, especially during the 20th century (20 percent of the population was deported) gives the visit a special meaning. Approximately half of the world’s population lives in places where Catholics make up less than 1 percent. Pope Francis has said that the Church cannot just stay in its buildings — or in its traditional heartlands — but has to reach everybody. From Estonia, Pope Francis will speak to that half of the world where Catholics are a very small minority. It is not the logic of Catholic statistics, but the logic of Pope Francis. We Catholics sometimes have the tendency to consider that the Church is mainly that half of the world where a lot of Catholics live. But it is not correct as the Church is the whole world, is universal, is “catholic” by nature. OSV: Statistics on Estonia say that the majority of its inhabitants are without religion, are self-proclaimed atheists. Why is that, and what does the pope’s visit mean to them? Archbishop Jourdan: More than atheists, the majority of people in Estonia feel themselves as without religion (75-80 percent, according to the polls), even if many acknowledge the existence of a superior force. They are like the Athenians in the time of the apostle St. Paul, worshipping the “unknown God” (Acts 17:23). The visit of Pope Francis is for many of them a moment to stop in their ordinary life and discover that “unknown God” they are looking for. Certainly 50 years of communist occupation are greatly responsible for the current situation. But in a broader way, that situation reflects the trend of Europe in the last two or three centuries to try to live as though God didn’t exist. Because if it is true that the other European countries have usually a greater proportion of people claiming to be Christians than our country, when you visit those countries, you don’t feel a much greater religiosity than in Estonia. With some exceptions, of course, like Poland. OSV: What has been the reaction? Archbishop Jourdan: I would say that the reaction of the public, civil authorities and media, has been very good. The Catholic Church has gotten much visibility in the media. Of course, we are speaking of a country where the number of Estonian Catholics was estimated to be only 5 or 6 people in the 1970s, with about 2,500 Catholics in 1991, and 6,000 or 7,000 in 2018. So, it is still very small. We don’t forget that we are a very small seed indeed, perhaps the smallest one, but we see how the seed is growing and already not a few “birds come and perch in its branches” (Mt 13:32). OSV: John Paul II visited Estonia in 1993, after the collapse of communism and the regaining of independence. What happened in these 25 years? Archbishop Jourdan: When John Paul II visited Estonia in 1993, his main message was “Don’t be afraid!” It was a time of great hopes and ideals, new liberty, peace in the world, unity of Europe. At the same time, it was a difficult period. The Estonian state was only beginning to establish itself again. It was poor, fragile. Its future was uncertain. Unwanted foreign troops were still on its soil. Twenty-five years later, the Estonian society is stronger, richer, more stable, but the great ideals of 25 years ago seem to be forgotten, or at least weakened. For that reason, we chose as the motto for the pope’s visit the opening words of a well-known song, “Wake up my heart!” It is what we need nowadays. OSV: Is the long history of persecution of Christianity under the Soviet Union still a living memory? OSV: The pope will hold a meeting for young people at a Lutheran church. What is the significance of this? 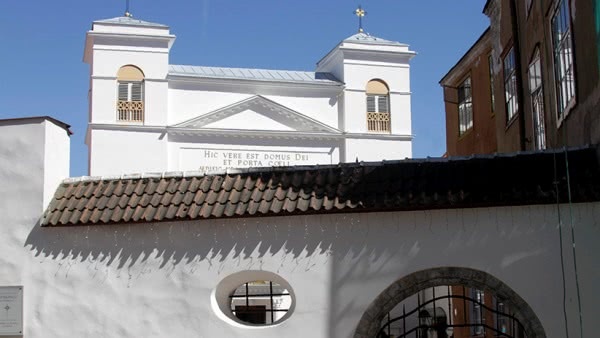 Archbishop Jourdan: The reason for that is that this church is by far the largest church building in Estonia. Our cathedral is far too small for the 1,500-1,800 young people we are expecting. But I am very grateful for the openness with which the Estonian Evangelical Lutheran Church received our request. And it is certainly very significant that the last meeting of Pope Francis with young people before the beginning of the synod for the youth in Rome, will be a meeting with young people of all Christian confessions listening to the bishop of Rome. Such a thing is not unusual in Estonia. I am probably one of the few Catholic bishops consecrated in a Protestant church, in 2005 in the Church of St. Olaf in Tallinn, also because of the small size of our cathedral. OSV: What’s your prayer for the trip? Travel from Rome to Lithuania, meet with government leaders and visit a Marian shrine and the cathedral. Public Mass, Angelus, meet with bishops, priests, religious and seminarians, prayer at the monument to the victims of the Vilnius Ghetto, visit and prayer at the Museum of Occupations and Freedom Fights. 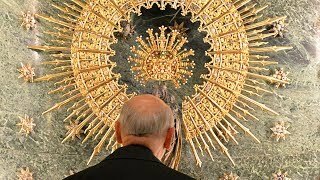 Travel to Latvia, meet with government leaders, ecumenical prayer service at Lutheran cathedral, visit to Catholic cathedral, visit to Marian shrine in Aglona, Mass outside the shrine, return to Lithuania. Travel to Estonia, meet with government leaders, ecumenical encounter with young people, encounter in cathedral with people receiving assistance from the Church’s charitable services, Mass in Freedom Square, return to Rome. 8. "To succeed you need not act like a man"